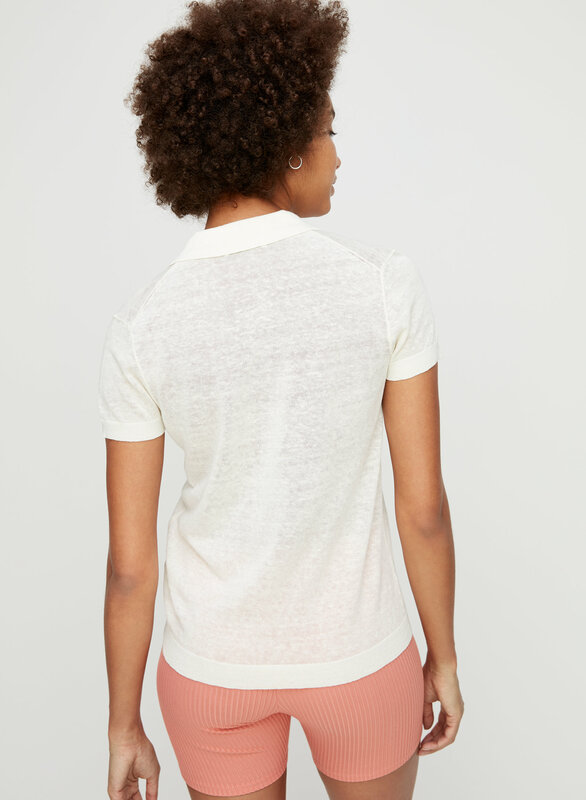 Styled with caldara short and tiffany jacket . 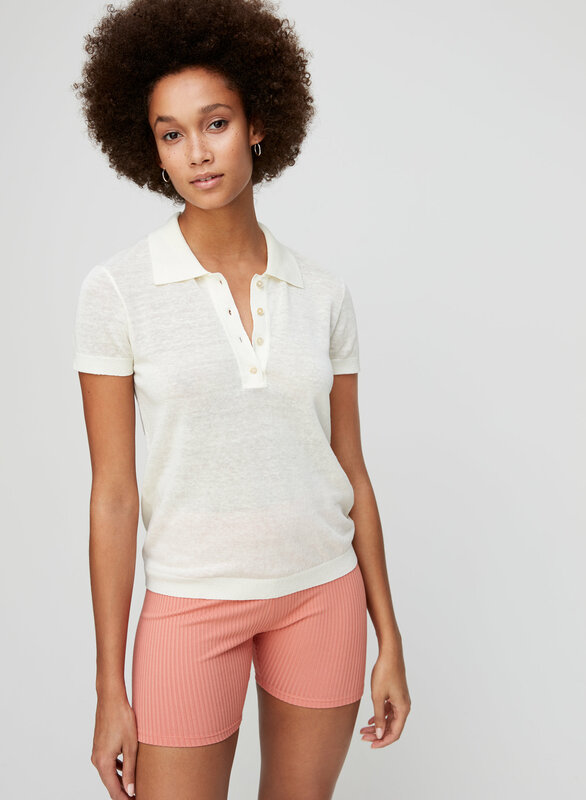 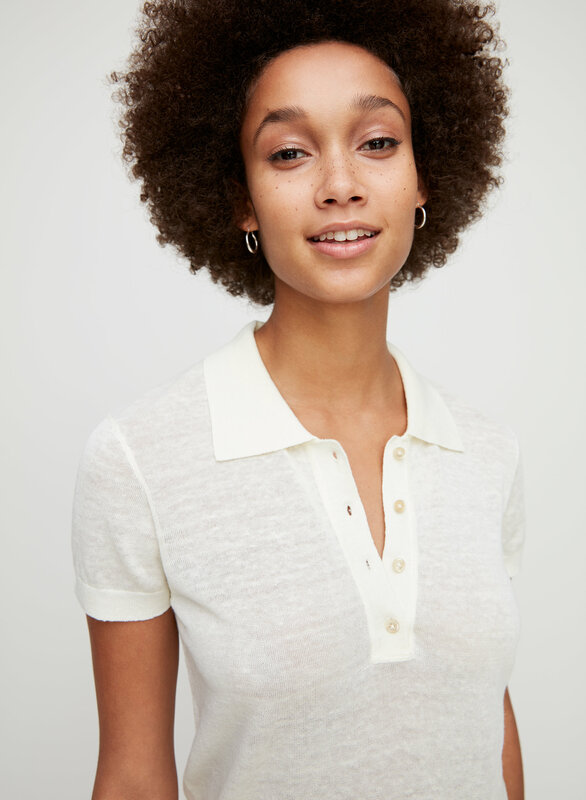 This is a knit polo top with a shrunken silhouette, a contrast ribbed collar and partial button closure. 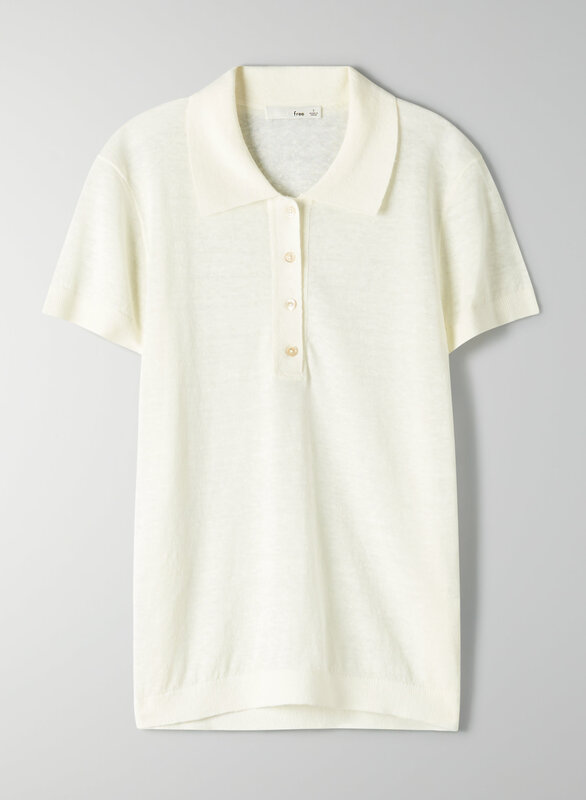 It's made with a semi-sheer linen blend.